Jane Yolen can scarcely remember a time when she wasn't writing. She grew up with the impression that all adults wrote books and told stories, and knew from the get-go that she would be carrying on that tradition. That's not to say she didn't have other interests—dance, horses, music, basketball, debate, and law to name a few. But it was her love of poetry that was at the core of who she was, and remains there to this day. Jane's first poem (written in the first grade), though not her best, showed an aptitude for rhyme. In third grade, she began to set poems to music, which she also wrote. In seventh grade, she wrote an essay about New York State manufacturing in rhymed couplets. Her encore performance at Smith College was a final exam in American Intellectual History, also penned in rhyme. Seriously. Over a career that spans 50+ years and a vast collection of distinguished awards, Jane Yolen has published more than 300 books (nine in 2016, alone) and has no intention of stopping any time soon. 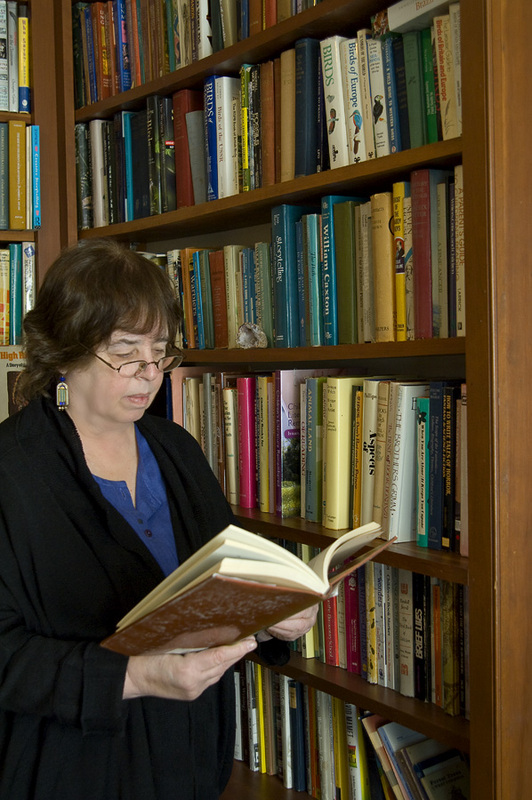 Described as the "Hans Christian Andersen of America" by Newsweek and a "modern equivalent of Aesop" according to the New York Times, Jane Yolen writes poetry and prose, nonfiction and fiction in multiple genres, and for all ages— board books to adult works. 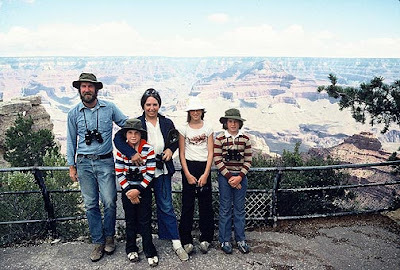 I've written a fair share of these Spotlight ON posts now, showcasing a number of extraordinary authors, but truth be told, when it came to writing Jane Yolen's introduction, I've felt more paralyzed than usual. How can I possibly characterize this woman of seemingly limitless possibility in a few short paragraphs? Never far from her next inspiration, she is a poet and author whose imagination can be finely tuned to pick up nearly any frequency. Her impact as an author, storyteller, editor, teacher, speaker, advisor, and role model cannot be overstated. Eventually I came to the obvious conclusion: I can't. What I can do is direct you to her website, which is not only loaded with information about Jane's life and works, but contains a slew of advice and resources for writers and teachers. It's impossible to peruse the offerings without noticing her abundant passion and generosity toward a larger book-loving community. If poetry is what you're after, I can also direct you toward her poem subscriber list. Sign up to receive a poem a day from Jane via email, mostly adult work, on the condition that you buy a book of hers or borrow one from the library each month. 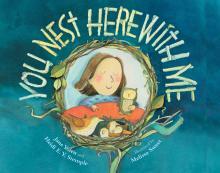 At risk of appearing choosy, I was hoping for something other than a picture book since Rebecca Davis introduced the gorgeous You Nest Here with Me, Jane's collaboration with her daughter, children's author Heidi E.Y. Stemple, last November. How about a collection of science poetry, illustrated with her son Jason's photography? 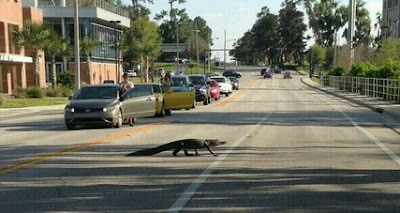 Living in Gator Country, I knew this day would come. Sooner or later I would succumb to the lure of the swamp and write a blog post about gators. Thanks to Jane, that day has arrived. UF mascots Albert and Alberta approve! Sorry local Gator fans, I'm not talking about college football. I'm talking about your floating, gloating, sunning, cunning, waiting, dominating, toothy-grinned, armor-skinned, not-a-log variety of gators. You know the ones... they hang out at Lake Alice, but occasionally take a detour to check out what's happening on campus...? Right. Those. The kind that appear in THE ALLIGATOR'S SMILE AND OTHER POEMS (Millbrook Press, 2016). a personalized copy at World Eye Bookshop or Odyssey Bookshop. 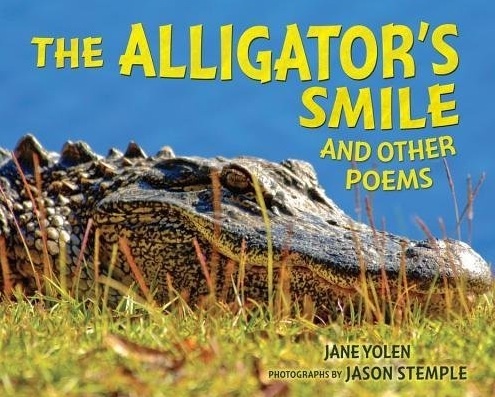 Described by the School Library Journal as "a fabulous merging of science and poetry," THE ALLIGATOR'S SMILE AND OTHER POEMS is the latest collaboration between preeminent word-wrangler Jane Yolen and her award-winning photographer son, Jason Stemple. Together this daring duo has worked on more than a dozen fascinating books that combine the best of poetry and photography in stunning displays of nature, come to life on the page. You, too, can embrace your inner chomp and discover the habits and characteristics of these cold-blooded creatures, whose ancestors lived as far back as the time of the dinosaurs. 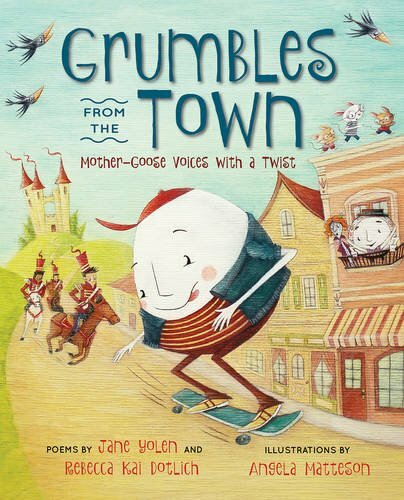 Yolen's thirteen poems, combining elements of playfulness, intrigue, and suspense, will capture the interest and imagination of most any young reader (and plenty of us older ones, as well). Supplemented with bite-sized facts and paired with eye-popping photographs, who wouldn't love to learn about alligators this way? Incidentally, many of Stemple's photos were taken on a fellowship-sponsored trip to the Everglades here in Florida where he got up close and personal with these menacing and mesmerizing creatures. 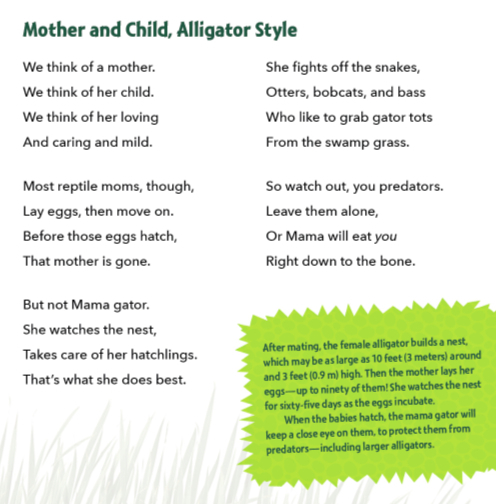 Make sure you check out the book's back matter, as well, which includes more fun facts, a glossary, and a list of additional resources, including Can You Tell an Alligator from a Crocodile (Lerner, 2012) by our very own TLD contributor, Buffy Silverman! or classroom, so take my advice and snag this book! Now tell me, are there any curious readers out there looking for an interview with Jane Yolen? Thought so! We'll begin, as always, with a few of Jane's favorites. Favorite sound: The dawn chorus of birds. Favorite smell: Flowers in the garden or a grandbaby fresh from a bath. Favorite children's poet: Too many, but Mary Ann Hoberman is sure up there! Favorite childhood memory: Listening to a storyteller at a family camp telling the story of Perseus and Medusa with a fire crackling behind her. Favorite grade in school: Sixth grade because Marcel Sislowitz kissed me on the final day of classes. Favorite teacher in school: Elementary—Mrs. Jiler because she loved my writing. Junior/Senior High School—V. Louise Higgins because she made me think about books, not just read them. College—Bill Van Voris and Joel Dorius because they were both willing to have long talks about poetry with me. Your first book, PIRATES IN PETTICOATS, was published in 1963. What kind of future did you see for yourself back then, and what does your gift of creative writing mean to you now? I thought I was going to be a nonfiction writer to make my fortune because of my background in journalism, and a poet for my heart. And then two things happened—I discovered I loved writing picture books (a form of poetry) and natural science poems (nonfiction and poetry combined) and my whole idea of what I could and couldn't do changed dramatically. To this day, I rule nothing out when exploring new forms or ideas for a book or story or poem. I learned that lesson early! By the way, I HATE the phrase "creative writing" which assumes there is a non-creative way. I distinguish creative and non-creative this way: Is it great writing? Good writing? Bad writing? Or writing so awful that it makes your teeth ache and your stomach clench and you-will-shoot-yourself-if -you-have-to-read-one-sentence-more writing? One of the consequences of having authored so many books is that your reputation precedes you. Comparisons to Hans Christian Andersen and Aesop are made with the utmost respect, but they don't address your complexity. What do you wish people understood about you and/or your body of work that can't be expressed with a convenient label? Well, I accept those as working titles, though ones I have re-earn on a daily basis. I won't accept "living legend" or "legendary" though, as I am enough of a folklorist to want to explain in full paragraphs just why that is not a usable idea. Or a proper thing to call anyone who is flesh and blood. But I also think people can choose which of my books to read and like or hate, to discuss or dismiss. That's not my business. My job is to write the best dang book, tell the best darn story, create the best damn poem I am capable of. Over and over and over again. To do that takes time, energy, dedication, and a tremendous amount of revision. No time in there to worry about what people call me. That's just going down the rabbit hole. One of the things you stress to new writers is the importance of exercising your writing muscle. Would you describe your daily writer's workout? Honestly, to watch me write is boring. Someone once asked about a reality show with writers. I said, even your camera men would get bored and their yawns would be picked up by the audio. Basically, I get up in the morning, check my email, write a poem, send it out to 700+ subscribers, do my exercises, take my pills, get dressed, eat breakfast, go downstairs with laptop and write until my brains feel scrambled. Oh by then it's lunch. A two mile walk. Repeat from laptop/brains scrambled until dinner. Occasionally I will have a meeting, or be on a panel, or give a speech, or go to a movie with a friend, or dinner, or theater. Sometimes I even have a date with an older gentleman because I am an older lady, but frankly they are beginning to feel more and more like interviews than fun. But mostly I write because you see I have all these invisible friends who tell me their stories and I write them down. 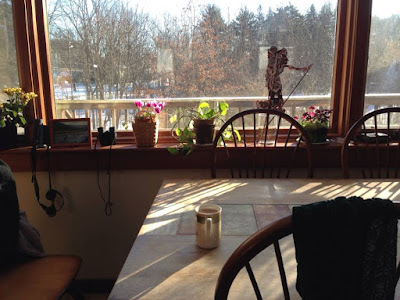 . .
What about your writing environment— the setting where you put in your daily writing hours? Since I have had a bad back for years, and now have a reasonably good back after a huge seven hour back operation, I do not sit at a desk. Most desks and chairs are not set up for someone who is 5'3 anyway. I sit in a comfortable chair with lumbar support and write on a laptop. It can be in a living room, a bedroom, a TV room—I roam around the house and have dictionaries and research books everywhere. I take frequent breaks and look out at the birds with my field glasses, take snacks, walks. 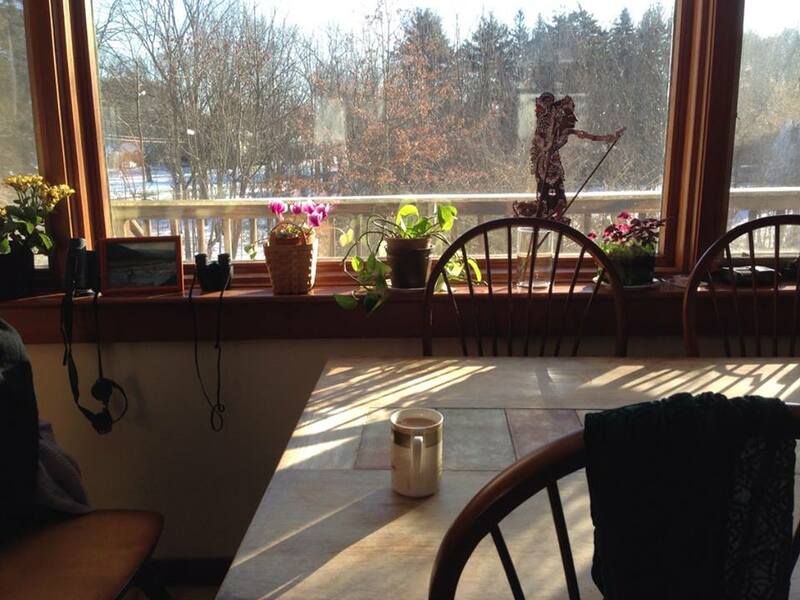 View from Jane's inviting kitchen (note her field glasses on the window sill). 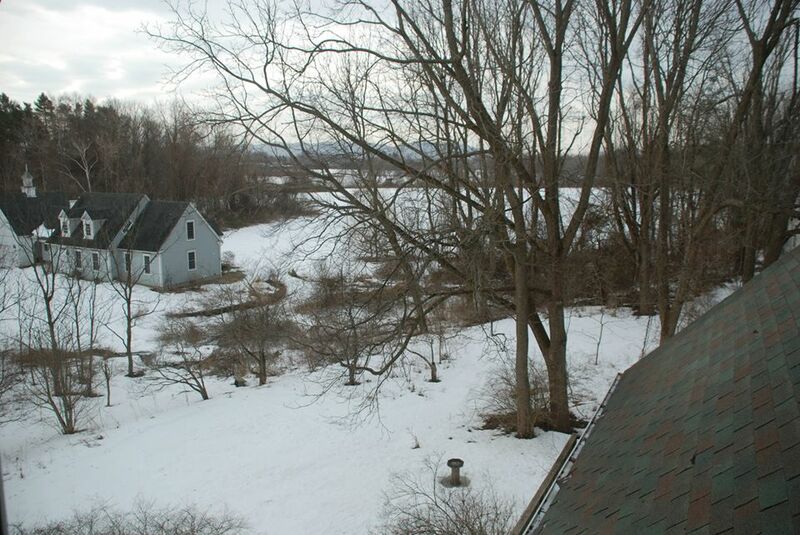 I have a dedicated writing room with a wonderful desk in the attic of my Massachusetts house, overlooking my daughter's house and the Owl Moon woods. But she is worried about me walking up and down those very crooked stairs (old house), afraid I will fall, so I rarely use it any more. While many writers are uncomfortable with collaboration, that's not the case with you. What do you find most rewarding about collaborating and what do you find challenging? Joke answer—it's twice the work and half the money! Of course there's some truth to that, But even more is the fact that some books are better for two heads and two hearts working on them. We each bring something wonderfully different to the writing table. Also sometimes one of my children or friends has an idea they want me to come on board with, so there's that as well. I'm curious about the creative process that took place with THE ALLIGATOR'S SMILE. Did Jason present you with photographs and you chose which ones to write to? Or was there more give and take than that? 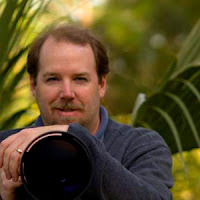 My work with Jason always begins with my looking over his latest photos and finding several themes for possible books. Good nature photographs can rarely be staged. So I have to go with what he has. But usually we reach a point where I say-you need to see if you can get X, Y or Z. Maybe it's a sharper picture of the alligator's actual "smile," or different picture of the mom gator with baby. But of course, if the book needs a mother/child photo in nature, you basically have to wait till the photographer can shoot in the spring. Whereas an illustrator can just create a picture at any time. Please share a favorite spread from THE ALLIGATOR'S SMILE and tell us why it's a favorite. When we think of alligators, we think of danger, but this spread reminds me that if a mother (reptile) stays around to help her babies in their first months (years) of life, it somehow softens them. We see the mother letting the newly born gator calf crawl all over her nose. And we are immediately won over. It's that awwwwww moment. But honestly folks--it's a gator!!! Then on the facing page we find out that the majority of young gators are lost to predation by OTHER gators. So I think I like the whiplash of these two pages together. It's surprising twice. Now that you know everything there is to know about alligators, is there a particular alligator trait that you identify with or admire? Alligators are one of the very few reptiles who hang around with their babies, fending off predators. That's me!!! My oldest has just turned 50. I am still doing it!!! Oh goodness, I have over 25 books under contract with only three still to be written. I have about the same number of book manuscripts making the rounds. And I have the starts of three other middle grade fantasy novels, several nonfiction book proposals, and the starts of about five different children's poetry books and two different adult poetry books, as well. I am never short of work. Coming out this fall, beside The Alligator's Smile, is Little Frog and the Scary Autumn Thing (Persnikety Books, the first of four seasons with Little Frog), that already has a great Publishers Weekly review; Grumbles from the Town—poetry based on classic nursery rhymes, with Rebecca Kai Dotlich (Boyds Mills Press); How Do Dinosaurs Stay Friends (Scholastic); and the first book in a trilogy of graphic novels called The Stone Man Mysteries, noir fantasy mysteries set in 1930s Edinburgh, with the main detective a gargoyle who can't leave the top of the church walls but still manages to solve mysteries with the help of a runaway boy, the poor children of Edinburgh, and the church's priest (CarolRhoda/Lerner Books) and written with my son Adam. Each verse (as many verses as you want) needs to have three lines, each with seven syllables. It can be rhymed or not. Fell down holes and met a queen. Rescued Peter from the Hook. All of this I did with book. The one changed was me—that's who! Excellent! 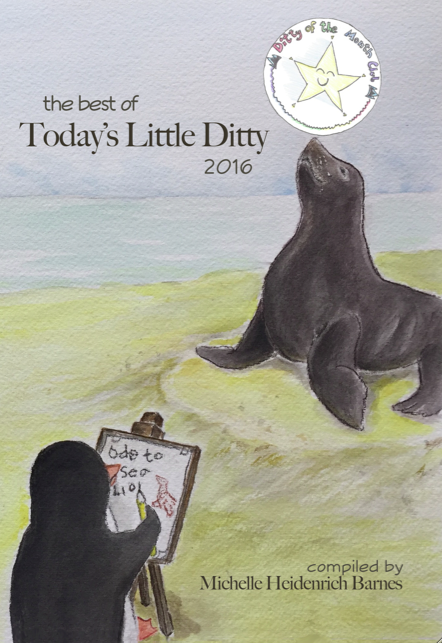 We love trying out new poetry forms at Today's Little Ditty! I know you're all itching to start counting your syllables, but before we put on our septercet thinking caps, won't you please join me in thanking Jane Yolen for this wonderful interview? Jane has generously offered to send one lucky participant a personalized copy of THE ALLIGATOR'S SMILE! Post your septercet that features reading or writing on our September 2016 padlet. Stop by any time during the month to add your work or to check out what others are contributing. 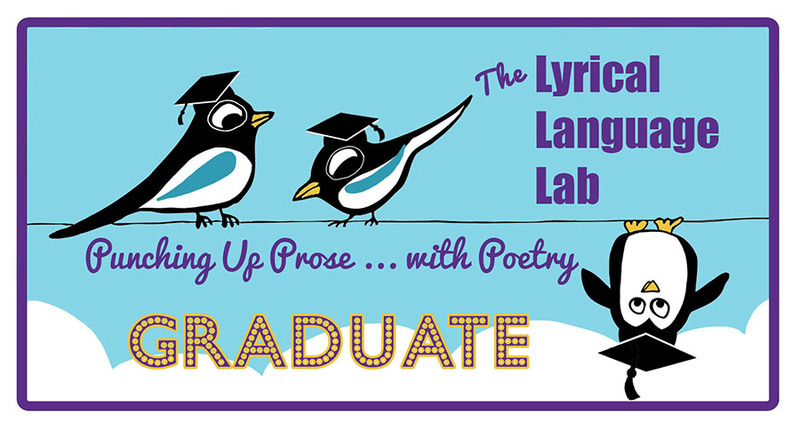 By posting on the padlet, you are granting me permission to share your poem on Today's Little Ditty. 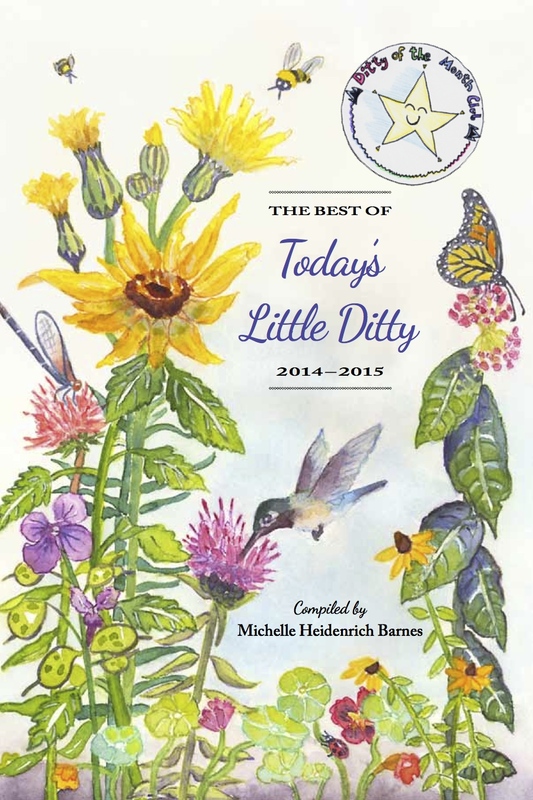 Some poems will be featured as daily ditties, though authors may not be given advanced notice as they have in the past. Subscribe to the blog if you'd like to keep tabs. You can do that in the sidebar to the right where it says "Follow TLD by Email." As always, all of the poems will be included in a wrap-up celebration on the last Friday of the month—September 30th for our current challenge. 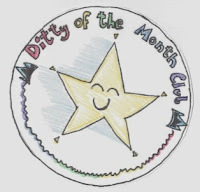 Thanks to everyone who contributed to last month's challenge from Diana Murray to write a poem about an unlikely hero! There were several additions after last Friday's wrap-up celebration, three of which were shared earlier this week (BJ Lee, Buffy Silverman, and Matt Forrest Esenwine), but I hope you'll go back to see them all. Random.org has determined that the winner of a personalized copy of NED THE KNITTING PIRATE by Diana Murray and illustrated by Leslie Lammle is . . .
ROBYN HOOD BLACK — Congratulations, Robyn! 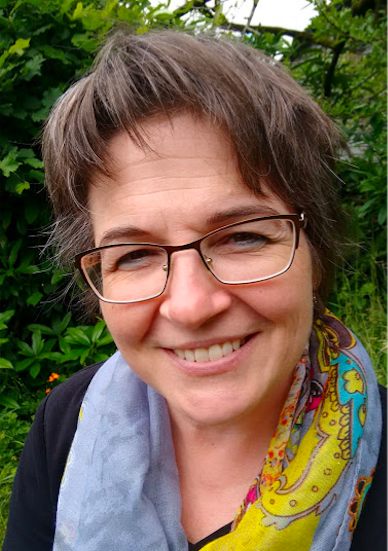 Penny Parker Klostermann is rounding up this week's Poetry Friday offerings at a penny and her jots. (And for the first time, too!) Drop by and say howdy. I truly enjoyed this Spotlight on Jane Yolen. I can't wait to read The Aligator's Smile. I visited the Florida Everglades for the first time this past February and was able to see some gators in their natural habitat. I look forward to trying my hand at Jane's septercet ditty challenge. Thank you Jane and Michelle for inspiring a love of writing and poetry. Thank goodness the septercet doesn't need to rhyme! I enjoyed reading your interview with Jane, Michelle. You ask the best questions! "grab gator tots" absolutely tickled me! What great book of photos and poems by Jane Yolen and Jason Stemple. 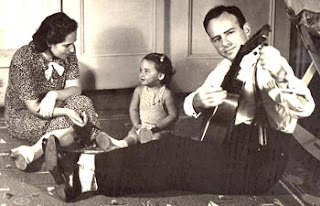 What a talented family. I hope I win the book! I get daily poems from Jane, and I look for her books everywhere. I recently found a Plague of Unicorns in Phoenix Books, Rutland VT. The woman behind the register was a poet, too. Thanks for having Jane on TLD, Michelle...a real treat. Jane, you are amazing. Your (work ethic or should I say write ethic) is impressive. Thanks for your books. I make sure I read every picture book and children's poetry collection that you write. Thanks, Penny. Hoping the PF hosting duties went well... it's a lot, isn't it? But well worth it, IMHO. I just had a tiny glitch with Mister Linky yesterday but the help team responded immediately and got things back on track. The help guy said, "I gave the system a kick." That cracked me up. It was refreshing and funny because I wouldn't have understood a technical answer anyway. It was totally worth it. It did keep me busy but I read a LOT of wonderful poetry and enjoyed the amazing "word wrangling!" An early visit to Florida and seeing alligator's in many places was alarming, but since mountain lions and bears can appear here in the foothills of Denver, I guess it all depends on what one gets used to. Jane Yolen's books have entertained since I was raising my own children, and The Alligator's Smile sounds wonderful, as do the others on their way. Thanks Michelle & Jane for sharing, and for the challenge. Ha! Make it so, Lee! What an excellent interview, Michelle. Jane is an amazing writer and a wonderful woman. And I'm on it. I love counting syllables! You all are so nice to me, except for Lee who is as ever irrepressible and goofy. Don't challenge me, old man, or I might rise to the occasion!!!! for women who smash glass ceilings. Her bracelets are a parenthetical pair. for she is eternal, and eternally ours. dragons before seven and ironing by five. She just wants us all to stay alive. SHUCKS! I was being kind. And don't call me 'old'. I am chronologically gifted! I now dub thee Woman of the Era. Love this, Jane! I've got the battle cry and the laundry down (ironing, not so much), but where do I get a cloak with GERUND across the back? What a bounty of information about the much-adored Jane Yolen - thanks, Michelle! And I think I'll give that septerset challenge a try. I didn't notice that the septercet was supposed to be about reading or writing. Mine is about the ocean, though I did mention a book....! Well, I'll write another. Folks, Lee and I are truly chronically gifted (challenged) friends. I adore him, and he adores me. Don't try this at home. How do I love thee? Let me count the ways, dear Jane...I love your ENTHUSIASM, your SEEMINGLY BOUNDLESS ENERGY, your DEDICATION TO YOUR CRAFT, your GENEROUS SPIRIT. I am so very happy your back issues are improved. 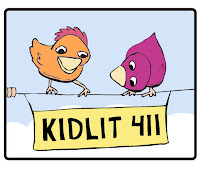 And I am so very excited about all of your new books that will soon be delighting kids. "But mostly I write because you see I have all these invisible friends who tell me their stories and I write them down. . ."
Thank you so very much, Michelle and Jane, for a fabulous interview. I'm definitely going to throw my hat in the ring with a septerset...don't know if it will be a tattered tam or an elegant chapeau, since I've never written on before. What a pleasure to have the real Jane Yolen here today!! I get her daily poems and feel my own writing has grown from this exposure. I have a collection of her books and look forward to adding Alligator's Smile. What a wonderful interview. I love Jane's style, giving her books as gifts to children and I love to hear her talk at conferences. She is so gifted and full of wisdom. What a generous superhero Wonder Word Woman is! I love "her bracelets are a parenthetical pair." JY gets up and writes a poem for 700 people each morning?? Mind blown! Terrific interview, Michelle--as usual, you ask wonderful questions that lead to insightful answers. And wow--Jane is such an inspiration! Wonder Word Woman indeed. p.s. Thanks for the shout out--very kind of you. 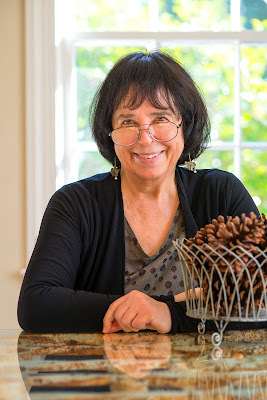 Delightful interview with Jane Yolen. It's lovely hearing about her writing process. I read Take Joy several years back. I think it's time to revisit it. I love Color Me a Rhyme, but Owl Moon takes the prize for one of my favorite books. Loved seeing that view of Owl Moon woods in the photo. I shared Stranded Whale last fall with middle schoolers when I subbed. 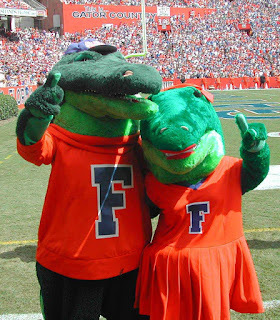 Would love to win The Alligator's Smile since my former school's mascot is the Gator! Hey Michelle,Thanks for a great interview. I do enjoy Jane's daily poems--there is always something to be learned. What fun it will be to try her form. All the photos make this a most engaging interview. Wonder Word Woman, indeed. Thank you, Michelle and Jane. I never get tired of being inspired by "Lady Jane." I learn something new about her in every interview and with every book she writes. She is DEFINITELY infinite! Septercets for SEPTember. So perfect. I noticed the "sept" connection, too, Mary Lee. Wondering if Jane planned it that way. It wouldn't surprise me if she did— she's that clever sort, donchaknow. Another fabulous interview, Michelle. 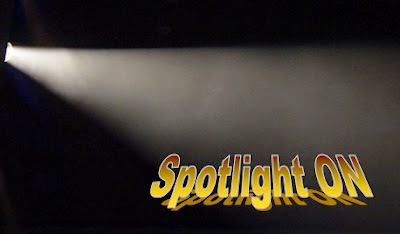 I was so excited to see the spotlight on Jane Yolen and to read her responses to your thoughtful questions eagerly. Now I'm exhausted! Wonder Word Woman indeed! I can't wait to get my hands on Alligator's Smile--a Yolen squared effort--and also to try out septercets. What fun! Oh, my goodness. A delightful interview. I am one of the very lucky 700 who see Jane's daily poems. And, that practice of reading her poems each day has done more for me as a writer than just about anything. Jane Yolen, you are an inspiration in so many ways! As a writer -- for sure. I cannot top what's already been said. As a mother and grandmother -- you are fierce, fearless and the kind of love every child should have. As a wife who has lost her beloved--you touch me in ways you cannot imagine. You say what so many don't know how. You are a grief counselor, grief slayer and victor. As a human being I am a richer person for reading your words. Lee is a lucky person to be such a friend that he can tease you as he does....but we get to feel like we know you by your generous sharing through your words. Thank you again and again. Thank you for this beautiful post. So much to inspire us would-be writers! The dawn chorus of birds is my favorite too! Owl Moon, Ballet Stories and Briar Rose - all totally different and completely beautiful- are my favorites... Thank you! A fine use of 5 minutes wifi, Jan! I imagine alligators laugh just about everything off... well, except maybe threats to their little ones. Wonderful interview, Michelle. I enjoyed it all and will enjoy the challenge as well. I've been laying low these past couple days, quietly watching all these lovely comments roll in. Thanks from me, as well, for all the kind words, and to Jane, of course, for inspiring it all! Great interview. 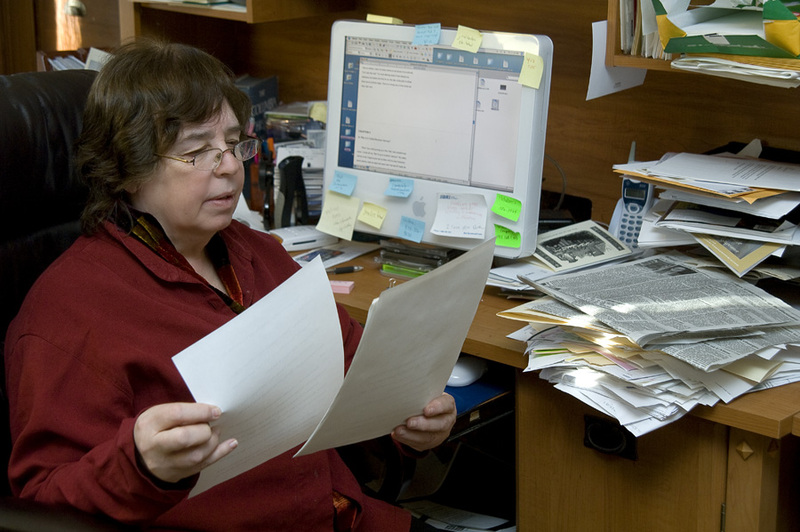 Jane Yolen is an inspiration for all of those who write and write and writ! This was fabulous. Thank you both! Another wonderful interview, Michelle! I've already learned so much from just reading Jane's poetry and books, but this post has given me (us) even more to be thankful for. So THANK YOU to you both! I am way, way, too far behind...I'm just catching up now, and loved all the comments as much as Jane's original poem! Thank you Michelle & Jane, for this wonderful interview, and I hope to send my septercet soon; I love a challenge. Thank you, Jane for the new form and for the quote about writing. It's so true. Looking forward to getting your new book. What a wonderful interview and a wonderful challenge! Thanks to both of you. A septercet challenge-how interesting, Michelle. I have been playing with words so let's see what surfaces.